An effective Food Safety Supervisor manages the food that enters the food business to ensure the food prepared, processed or produced is safe and suitable. Food enters the business in two ways. 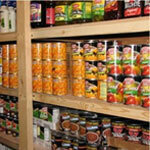 You may purchase your food by actively going to a shop or supplier and buying and transporting the food yourself. Alternatively (and in most cases) you may have suppliers deliver food directly to you. Creating a list of approved suppliers is an excellent way of controlling the ordering and delivery of food. The list contains suppliers that have completed and signed a food supplier agreement. The agreement covers the quality of the food, packaging and labelling as well as transportation requirements. By maintaining this list, any issues relating to delivery and food quality can be addressed from a single point. It also allows orders and enquiries to be made by staff if the person normally responsible for ordering is unavailable. If you would like to learn more about managing the purchasing of food in your business why not undertake our Food Safety Supervisor course online? It will assist you meet the statutory requirements of the Food Act 2006.